I took this picture of a page in a major magazine - guess which one? - because I was so infuriated by the photo. Look at the photo on the banner of this blog, then look at the photo above. Now look back to the banner. Now back at the photo above. Both are paddlers heading away from the camera at an angle. The photo on my banner is of Sarah, taken somewhere on the inside passage this summer. Please note that her elbows are both quite low. Now look at the photo from the magazine. This paddlers left elbow is well above his shoulder. This is not only bad technique, it is actually dangerous. Any time your elbow is above your shoulder, it only takes a little bit of pressure to dislocate it. Your hands should move across your face with your elbows below your shoulders. Now I should point out that in a past life I worked in photography, and I know how this photo was created. Someone found a model who couldn't paddle, and had them 'paddle' into the sunset for a great shot. They didn't care that the model couldn't actually paddle. I mean, who would notice? Right? I did. And honestly the editors of a major outdoor magazine should know better. So spend some time looking at photos, and looking at the paddlers around you. And most importantly watch yourself. Keep track of where your arms, and elbows and hands are. Keep track of how deep your blade goes in the water. And where the blade enters the water and where - in relation to yourself - you pull it from the water. Think about what it feels like when your pushing on your foot pegs, and what the kayak feels like when you edge. Be alert to what is happening around, and feel the wind on your face. Most importantly, be present in what you're doing. What ever your doing. Think for a moment of the monk who will sweep the floor for hours, intent on only that thing. Think about how amazingly well the floor will be swept. Imagine what your forward stroke would look like with the same level of attention applied to it. Most people aren't present when they are completing routine tasks. Their mind wanders as their body goes through the motions. They begin to think of all nature of things that have nothing to do with the task at hand. Take what you are doing to the next level. Be present, and watch. Ouch, hard to believe that "Outside Mag" would miss that one. 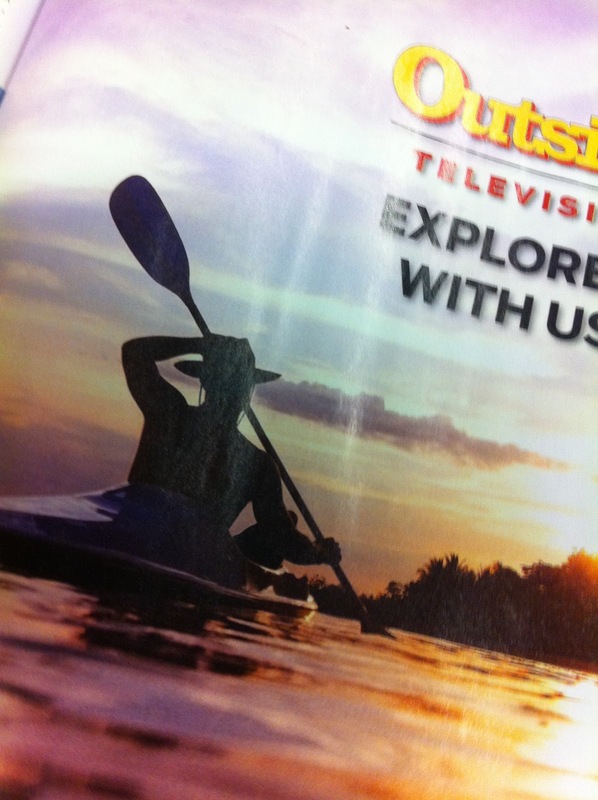 Having said that, we've even seen photos from kayak manufacturers with the paddlers slouching. Attention to detail is important. Keep the zen "twist" coming PO, it helps to keep us all "present". Duncan. Thanks Silbs. The problem really is the photography industry - which as I mentioned I worked in - but if the magazines held them to a higher standard it wouldn't be an issue.